Newport Folk Festival 2012 has returned to the tradition of presenting a Friday night concert before the Saturday and Sunday events get under way. There was no Friday night concert last year, but in recent years the evening shows have featured artists like Brian Wilson, and Steve Martin. 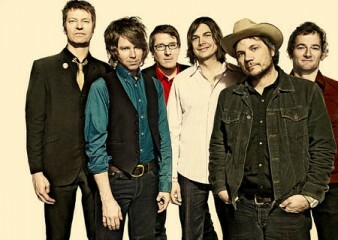 The festival brought Friday nights back in a big way by announcing that Wilco will headline the Friday night show at Fort Adams. Also on the bill are Blitzen Trapper, and Megafaun. Tickets go on sale on Friday, April 13 at 11 a.m. eastern time. For more information, visit the Newport Folk Festival website.